Like the clouds you’ll soon be looking down upon. In a line to line heartbeat filled of stories from afar. Simple puddles in a mess. 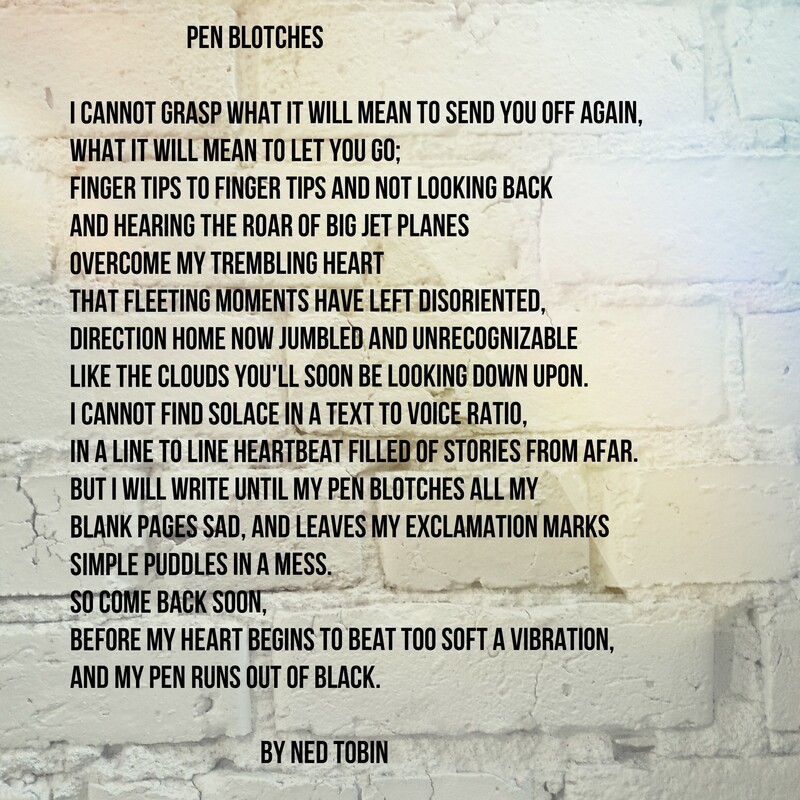 And my pen runs out of black.